These days, more and more software development projects are being carried out using agile methods like Scrum. Agile software development promises higher software quality, a shorter time to market, and improved focus on customer needs. However, the transition to working within an agile methodology is not easy. Familiar processes and procedures change drastically. Software testing and software quality assurance have a crucial role in ensuring that a software development team, department, or company successfully implements long-term agile development methods, and benefits from this framework. software quality assurance management. Software development managers, project managers, and quality assurance managers will obtain tips and tricks on how to organize testing and assure quality so that agile projects maintain their impact. Professional certified testers and software quality assurance experts will learn how to work successfully within agile software teams and how best to integrate their expertise. industry, as well as test exercises for self-assessment. 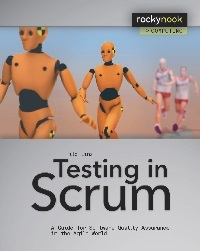 This book covers the new ISTQB Syllabus for Agile Software Testing and is a relevant resource for all students and trainees worldwide who plan to undertake this ISTQB certification.